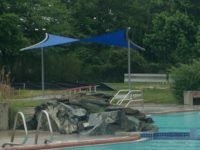 Community Pools add shade to protect children and adults from the hot sun. 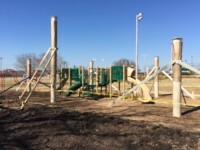 Take a look at some of the structures that are being added to provide much needed shade. 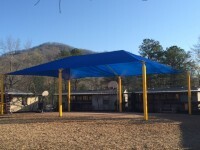 Call Carolina Shade Sails for more information. 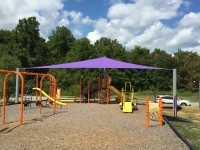 Conway S.C. – Carolina Shade Sails worked with the city of Conway to install a 3 Sail custom structure over their playground. This 5 column structure has column heights of 19′ & 11′. 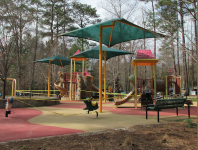 Carolina Shade Sails designs, engineers and installs shade sail structures, cantilever structures and so much more!